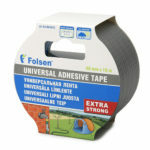 Universal duct tape 0510 is a high performance duct tape, specially designed for application both in DIY and industrial sectors. It has a high tensile strength and good weather and low temperature resistance. 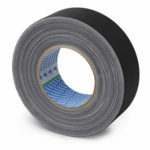 If you need a heavy duty duct tape, 0520 will be a perfect choice. It is well known for its ultimate performance in various professional and industrial applications. 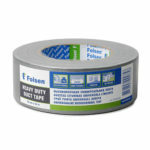 For specific applications, Folsen also offers you Premium grade 0530 Gaffer tape. It is specially engineered for applications where high thickness and residue free removal are required. Perfectly suitable for arts and entertainment industry.